Traditional line scan cameras capture images at very high speeds, one line at a time as the web or objects move across the camera’s field of view. High-sensitivity TDI technology works in the same way but enables the capture of many lines—hundreds of lines in some cases—simultaneously, and these multiple exposures of the same image increase inspection accuracy, especially in low-light applications. 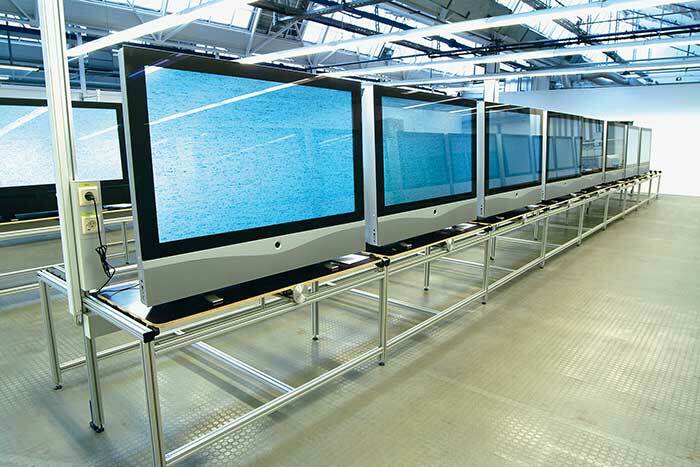 Flat panel display inspection is ideally suited for inspection built around time delay and integration (TDI) cameras. Once again thanks to CMOS, there are line scan cameras on the market today that offer a compromise between traditional line scan cameras and more costly TDI systems. These cameras deliver 12 lines of CMOS sensors (rather than hundreds), as if 12 cameras were combined in one. This provides customers with multiple options: a user can incorporate a TDI camera into their existing system, taking advantage of greater sensitivity and allowing for reduced lighting levels (and lower cost) at conventional speeds or, with a TDI camera, can benefit from much faster scanning speeds with normal lighting. Importantly, these simplified TDI cameras are available for three or four times less than higher-end TDI cameras. They’re typically available in both mono and color versions, with the mono being the most sensitive overall and the color delivering greater sensitivity than a traditional color camera. In 2017, new options in color and time delay integration technology in line scan systems will expand customer choice, opening the door to the deployment of web inspection applications in a range of new industries and enhancing the speed and accuracy of the web inspections completed by many organizations today. Importantly, the growth of CMOS technology in line scan will continue to influence new improvements in 2017 and beyond—as it helps drive down the costs of line scan systems for customers.